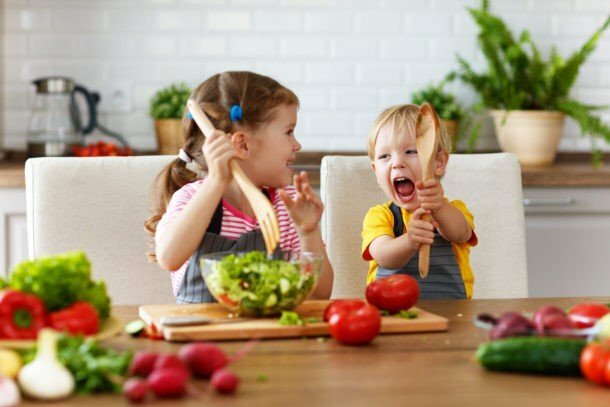 Recently, I have come across a few different sites that recommend grating your kid’s fruit or veggies. Mostly, this seemed to be a “trick” tactic to get the nutrients in undetected. 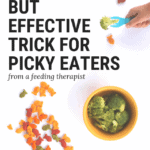 As you know by now, I am not a fan of “tricking” our kids into eating their fruits and vegetables. 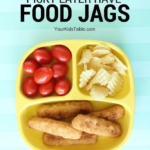 I know that may make life harder in the immediate circumstance, but putting the work in now will teach your kids to enjoy the foods they may be avoiding throughout their lives. 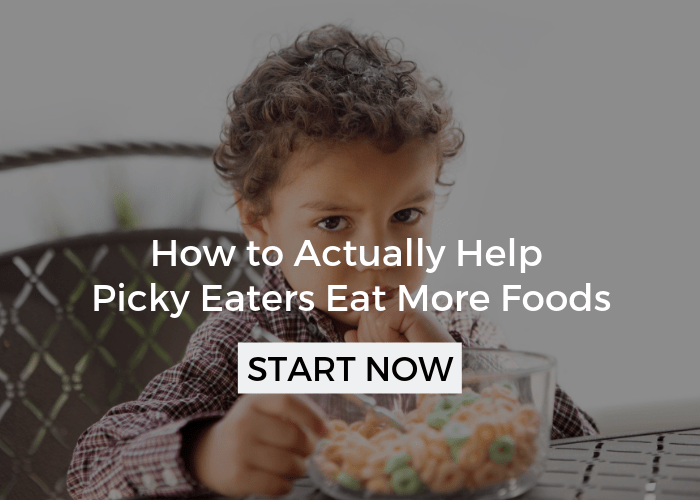 Regardless, the whole grating thing got me thinking… If you have a particularly picky eater this may be a good jumping off point for fruits and veggies as it certainly minimizes any overwhelming texture they may encounter. Of course we want them to experience the texture, but for some kids that may be too much in the beginning. I am not recommending that you hide the grated food. Have them help you shred a fruit or veggie for a dish or snack you are preparing and talk about how it feels, looks, smells, etc. Trust me, they will start to respect that you are being honest with them and will reward you with trying some. Yesterday, I gave grating fruit and veggies a test run on both my boys, baby and toddler. 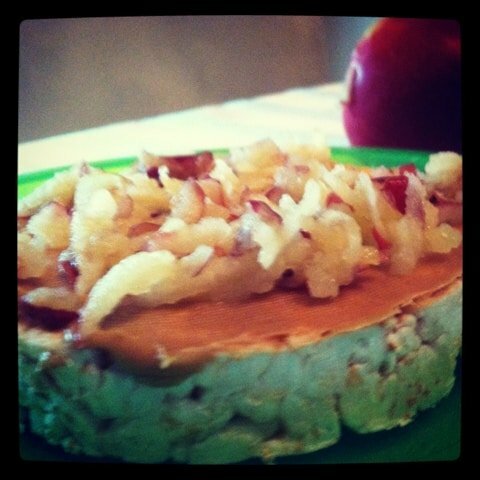 Sam ate a rice cake (a favorite food) with peanut butter spread on it, and then grated apple on top. He eats a lot of apples, but I struggle to get him to eat the skin. This is a tough one, literally, for toddlers. The texture can be difficult to break down and they will often give up on it. The skin of the apple holds most of the fruits fiber and more vitamins and minerals, so it is important to encourage eating it. Grating the apple with the skin was a solution to my problem! As I was hurridly getting lunch together Sam quickly noticed that something different was going on. He asked me what I was doing and I told him that I was grating an apple just like we do with the cheese. He was very curious. Getting lunch together was a real fury today, but in the future, especially with some lesser favorite foods, I will have Sam help me grate the food, which I am sure he will love doing. Sam has had the peanut butter and rice cake snack many times, so I thought he might get upset that I had changed it up (a 2 year old loves predictability). Also, since I knew the grated apple was a little risky I made sure to pair it with something he really liked to make him comfortable. As I finished grating I told him what I was planning on doing and made one for myself, too. I served raisins along side and he ate it all, quickly, and I really enjoyed it too! 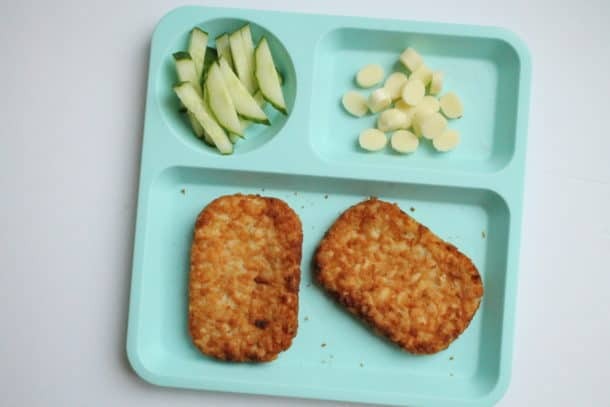 I would normally serve something like this for a snack, but we had just come from a library group that gave him a small snack so I knew he wouldn’t need to eat a very large lunch and nap time was looming! You could also try grating carrots, pear, potato, fresh beets, sweet potato, parsnips, cucumber, yellow squash, brussel sprouts, onion, and garlic. Coincidentally, (really it was a coincidence!) I came across a dinner recipe at One Hungry Mama, that grates brussels sprouts in a one-pot dish, it looks fabulous. This is an example of how I am going to try and incorporate one of Sam’s non-preferred foods into our meal. I can’t wait to try it! I will use this experience as a stepping stone for Sam eating the apple skin. The next time we try an apple this way I will try to include even more pieces with skin and make sure I point it out to him and then discuss the texture while we are eating it. The next time he has apple, probably in a day or two, I will present it in a different way, so that he is comfortable with different textures and doesn’t begin to rely on only what is predictable and feels safe. I also cycle through buying different varieties of apple, with each trip to the store comes a different bag of apples (i.e. : gala, red delicious, granny smith, etc.) 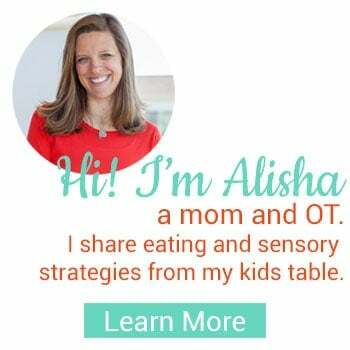 If you want more information on presenting food in different ways, check out my post Try and Try at Least 12 Times. I am sharing this because I want you to think about ways to bridge the gap between refusing a food and eating a food. It is a progression that takes time. In case your interested I use all natural peanut butter with no sugar or salt added. Sam loves it because that is what he is used to. On occasion, he has Jif and since he has always had the more healthful version, he doesn’t give me any qualms about switching back to the natural stuff. 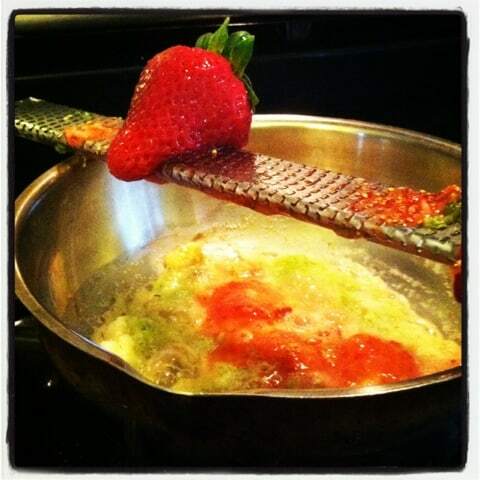 I had a stroke of genius (which doesn’t happen often) and used a microplane (see in picture above) to grate fresh zucchini and strawberries into his cream of wheat. This worked so well, I wish I would have thought of it sooner! I like cream of wheat as a transition food, it is loaded with texture and cooks up in seconds. This was Isaac’s first bowl of it and I wanted to make sure to add something sweet into it because it does lack flavor! If you’ve never made cream of wheat, you just boil water or milk and mix in the cream of wheat. I used 1/3 cup of water and 1tbs plus 1tsp of cream of wheat (these directions are on the box). Then whisk quickly and frequently or you will get a lot of lumps. The strawberries (about 2) and zucchini (about 3 tbs) cooked up nicely in a minute and all together it couldn’t have taken 5 minutes. I had enough leftover to heat up for breakfast in a day or two. 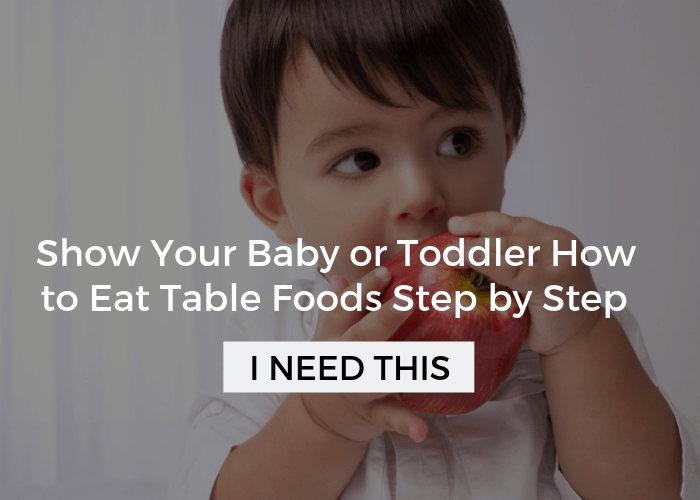 The same fruits and veggies I listed above are great for a baby, too. However, you would need to make sure you cooked the carrot and went a little light on the onion or garlic. 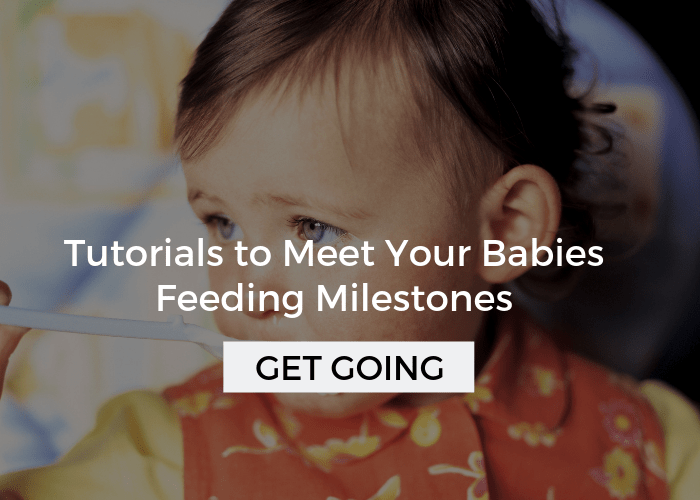 You could try mixing them into their baby cereal, mashed potatoes, or oatmeal. Let me know if you have any ideas for grating fruits or veggies! Has anyone tried this before? My 23 month old recently started OT since she doesn’t chew and often overstuffs, gags, and chokes. I really want to introduce her to hard fruits and veggies like apples and carrots, and shredding it just may be the trick! 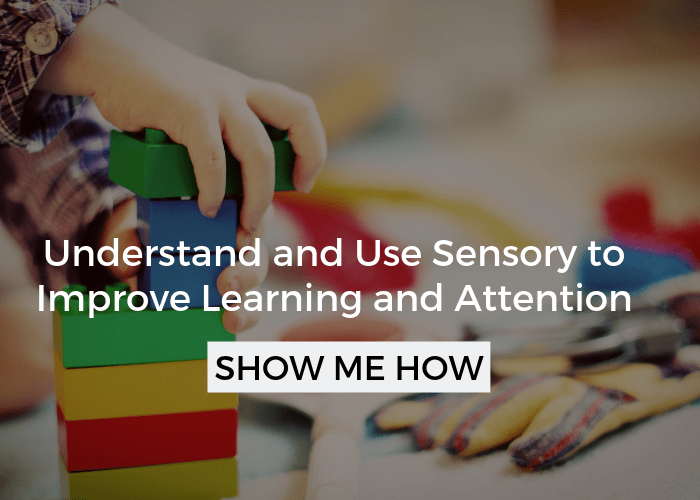 She can enjoy and explore and chew without the risk of choking! Thanks for the idea! That is great Larissa, I’m glad it was helpful. Make sure the carrots are cooked if she isn’t chewing that well. Run it by your OT as well, she will be able to help you implement it. I know this is a late post, but I have recently gotten a veggie spiralizer (around $20 on Amazon), and my daughter loves it. It makes really fun zucchini and carrot noodles, which she can eat with her hands and are really easy to cook. She loves pasta, but I like to mix it up so she gets both pasta and veggies. Just an idea in case anyone is searching this. Awesome! Thanks so much for sharing this, I just put it up on my facebook page. A really great idea! Great idea!! No more chopping things really really really small in hopes my daughter will keep it in her mouth. Changing up the presentation can go along way! Don’t hesitate to get creative! That’s great. Your babe is lucky to have such a conscience mama! I used this a lot when my youngest was about 8 months old. I am so excited to have found your blog! I am working with my 8 month old on trying to get her to eat more of the things we eat with age appropriate modifications. When we went to a hibachi grill for dinner earlier I was able to give her a preferred food (spinach/carrot rice cake and milled flax seed “cereal”) with foods prepared with unfamiliar flavors (zucchini, broccoli, and mushrooms). It was a huge success and I am eager to try this technique with future meals! I am looking forward to trying this with apples, too! I think it will be a great way to introduce another texture to Annabel, first with a preferred food and then hopefully onto new foods. Great idea! Thanks for sharing!